Location, location, location. Most people choose their hotels after they have booked their flights or once the destination city has been decided. The location often implies what type of vacation or stay that guests will want. If it is a tropical place, guests will most likely want to see the ocean. If it is a Ski Lodge, guests are going to need close access to a ski resort and other amenities. Location is very important in determining the hotel design and here are a few ways that hotels customize their design. When hotels are close to bodies of water, you can almost guarantee that there will be more outdoor areas. These areas can be for lounging, going swimming, dining, etc. If the hotel is near a lake, it will probably have options for trying water sports on-site. Activities run through the hotel itself such as water skiing or using Jet Skis help great hotels stand out from the others. Being extremely close to the water can be beneficial to the hotel because a dock can be connected to the building for guest convenience. Now, if the hotel is close to the ocean, water sports are still in play, but having a dock might be a bit tougher. Hotels can also design rooms to show more light and more views of the body of water itself. Another way water can influence the hotel design is in the decor. Many hotels that are very close to bodies of water use a nautical theme, which represents the love of water. Hotels in the mountains are capable of being extremely diverse when it comes to hotel design. Say that the hotel is in the mountains located in Nepal where snow is a major influence on the local economy. This would result in that hotel using insulated windows and doors, possibly heated walkways to prevent accidents and maybe even a “log cabin” themed decor throughout. Many hotels that are in the cold parts of the world, near mountains, usually resort to the dark and wooden decor items because it makes guests feel safe, secure, warm and cozy. Built-in fireplaces can also be a part of the decor to give guests that extra warmth they might desire. On the other hand, if the hotel is located near mountains that are in a warmer climate, keeping the place warm will not be an issue. Nevertheless, the design for hotels in locations such as this will most likely continue to implement organic, wooden, cozy decor. Being in the mountains means many people want to be out camping, hiking, exploring the wilderness, etc., so keeping the decor on point with the climate is crucial to appease a person’s mood. The island life is indeed different than any other hotel design. The tropical weather plays a huge factor in how a hotel will be designed. 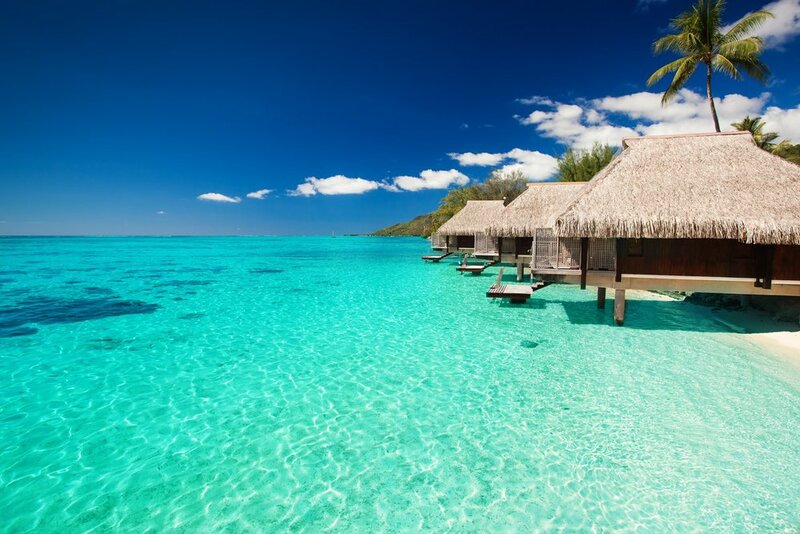 For example, in Bora Bora there are multiple hotels that have individual bungalows that are placed over the shallow water. Guests get a kick out of this because they can just jump into the beautiful, crystal blue water right out of the front door of their room. There are many more outdoor areas for guests to enjoy and activities such as scuba diving, sailing and more! Have an idea? We’re here to create your dream interior.